If you are like many choir directors, you can use some help organizing the many facets of your work. That's where the Choir Director's Organizer 2011–2012 can help. 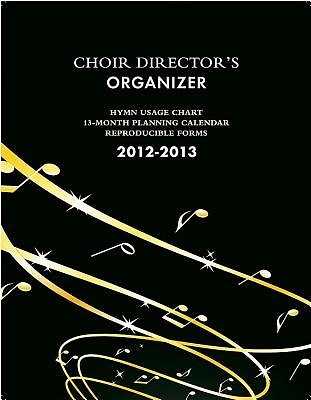 In the Choir Director's Organizer 2011–2012, directors will find a wealth of resources including: a hymn usage chart; a 13-month planning calendar; reproducible forms for all of your choirs; worship music planners for traditional and blended or contemporary worship services; registration forms; rehearsal planning worksheets; and so much more.